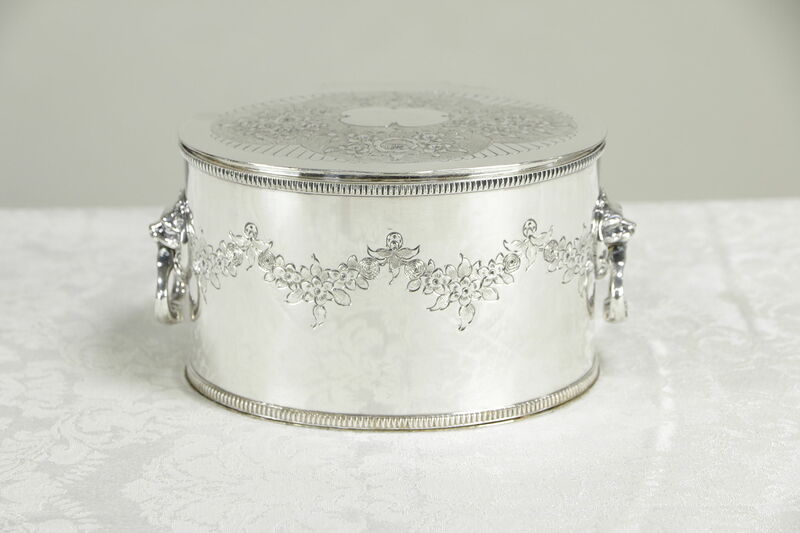 A charming oval silverplate biscuit or cookie cannister from England was hand engraved and signed "HB & H" about 1900. Lion head ring pulls are original, there is a medallion where a dedication or family crest could be engraved. The silver is in very fine condition, except the interior, which has not been polished. This British antique has nice weight. Size is 7 1/2" x 5" and 4" tall. Please view 10 photos at full screen size for best detail. Related items in photos are sold separately. Shipping is $12 in the US.